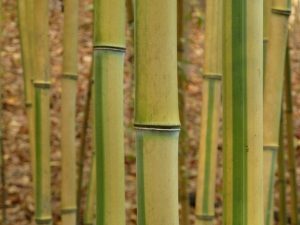 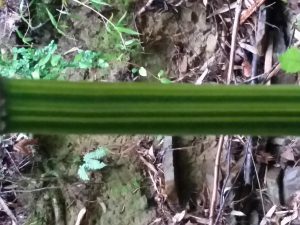 Indocalamus tessalatus – Giant Leaf Bamboo will grow in total shade. 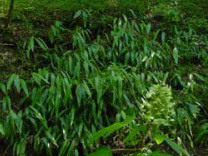 The gaint leaves are up to 24 inches long and it spreads rapidly making a network of roots just below the surface, perfect for erosion control. 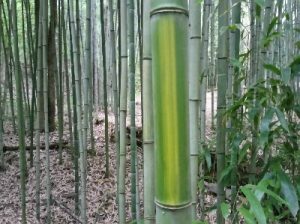 Phyllostachys aureosulcata – Yellow Groove is one of the more cold hardy bamboos and was always a popular choice for northern climates. 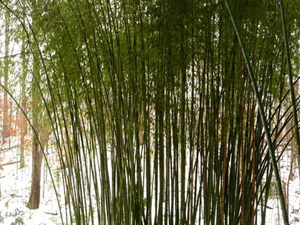 It makes a dense privacy screen and can be pruned to the desired heigth. Phyllostachys aureosulcata ‘Harbin’ – Harbin bamboo is a form of Yellow Groove with striations or grooves running the length of each internode. 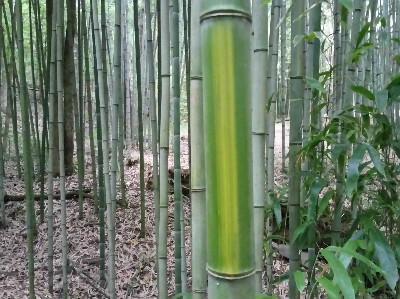 Kind of hard to see but easy to feel.